While most of us strive for the recommended eight hours of sleep, TV chef Nigella Lawson has revealed that she doesn't get anywhere near that when it comes to a nighttime kip. But it seems the 58-year-old is entirely happy with that set-up, admitting that she only really sleeps in two-hour bursts, and regularly gets up for a cup of tea. During a recent Q&A session in London, Nigella Lawson reportedly told the audience that one of the benefits of getting older is going to sleep as early as you like. She also confessed that she’s often tucked up in bed as early as 7.30pm. According to The Sun, she said, “What I like a lot about getting older is you don’t feel embarrassed about going to bed early. I’m like, ‘When can I lie down next?’ That’s all I think about really. 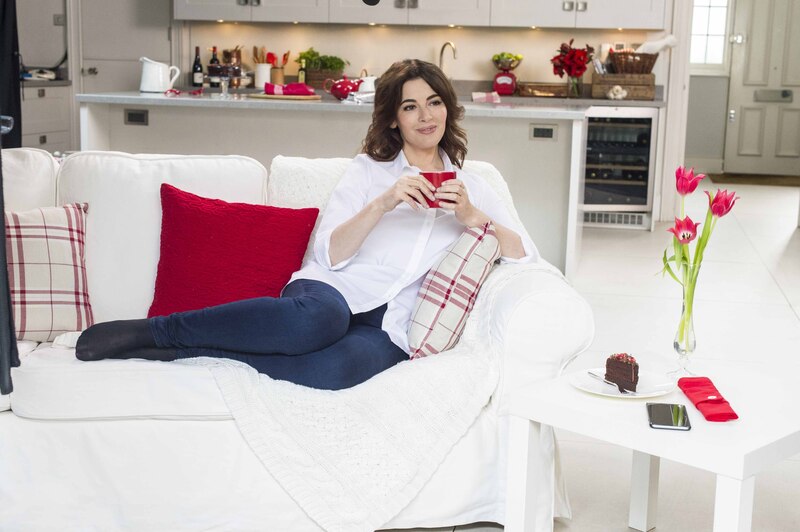 Bizarre as it may sound, Nigella’s nightly routine is clearly working for her – given that her fans admit that she looks far younger than her 58 years. In the past, she’s also revealed that an equally low-maintenance beauty regime is to thank for her timeless complexion. According to Woman’s Own, the star revealed that she drinks plenty of water to keep her skin clean and clear – and makes sure to wash her face every night with a muslin cloth. She said, “The thing is, I drink more water than you can believe possible – three litres a day. And I never go in the sun, I’m very sunphobic.